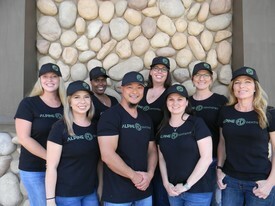 Alpine Dentistry has a team of Dental Health Professionals here to help you with all of your dental needs. Dr. Bonifacio has over 17 years experience and expertise in all aspects of dentistry, our Registered Dental Hygienists are well-skilled in Periodontal care and laser therapy, and our Registered Dental Assistants have many years of experience to help make your visit as comfortable as possible. Our Front Office is thoroughly trained and able to help you with all of your Insurance and Treatment questions or concerns. We look forward to having you as part of our dental family.